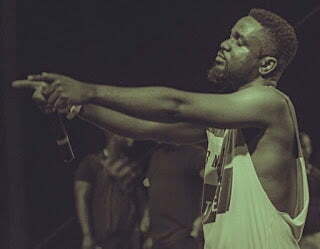 BET Award winner, Sarkodie has posted what could be described as an apparent response to former hiplife artiste, Lord Kenya. The secular artiste-turned-evangelist in an interview on Starr Chatlabelled Sarkodie as a braggart. Lord Kenya asked Sarkodie to stop bragging because he is not the best rapper in Ghana. According to him, before one could be referred to as the best, he should have been in the music scene for quite some time. “You don’t become the best rapper in one year, it’s for decades. Before we say someone is the best, do you know how many years he has to work for it? To be honest, how many albums does he [Sarkodie] have? I’m asking them to stop bragging…he [Sarkodie] hasn’t arrived yet and has to take his time… Okyeame Kwame is the best because he knows what he is doing,” Lord Kenya said. From the United States, Sarkodie posted a picture of himself on Facebook, thanking his fans and the media for helping in promoting his new single, Take It Back. Big ups to the fans and media pushing the ‪#‎TakeItBack‬ Agenda I say Thank you. Just for the record I don’t brag lol … I’m a rapper … ?